Note: Knight’s Rental Inc. does not guarantee our tents to be leak proof. These are not permanent structures. 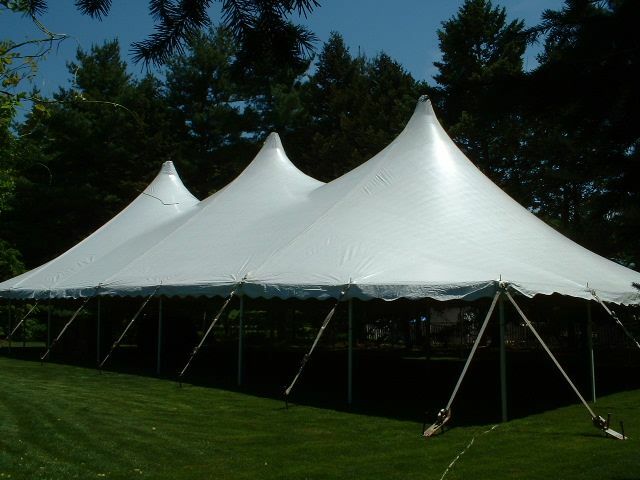 Knight’s Rental has established itself as a leader in the tent and party rental industry in Reading, PA and the Berks County area over the past 50 years. 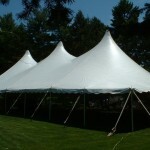 We carry some of the finest tents for rent in Berks and surrounding counties. Along with providing the finest in party rental equipment, we will assist you in the planning of your event or wedding, including calculating the square footage needed and the type of equipment your event will require. Our staff of trained professionals (known for their skill, expertise and service) will ensure a memorable affair. Our Party Cad system will allow you to see your event in 3-D before it even happens! Canopy tents will have one, or depending on the size, several center poles inside the tent with stakes and straps going around the perimeter to secure the tent. Staking into the ground is necessary. Please contact us for pricing. We offer 20′, 30′,40′ and 60′ width. Frame tents allow for better space utilization and also can be fit into smaller areas where securing the tent to the ground is more difficult. These types of tents do not have center poles and are completely open throughout the entire inside of the tent. We offer 20′,30′ and 40′ width. 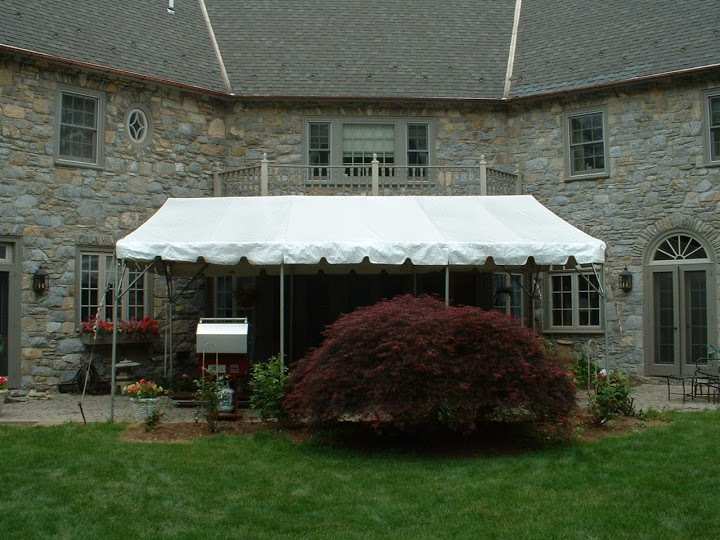 We also offer awnings that range in size from 14′ x 15′ to 14′ x 52′ that come in 7 1/2 ft. increments. This type of tenting is perfect for covering decks, patios, or areas that must be tight up against a permanent structure. They can be used in a variety of ways. Knight’s Rental also offers marquee tents that range in size from 9′ x 5′ to 9′ x 100′ or more. This style of tent is normally used for walkways from tent to tent, or from any structure to a tent. They can also be used in tight fitting areas that need to be covered, such as grilling around pools or any other kind of activity. 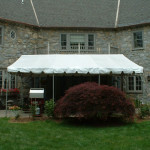 As shown below, this style of tent can also be wrapped around certain areas, so that no walkway will be left uncovered. We also have sidewalls available in solid white, and cathedral window. Need a tent just for cooking? We have you covered! Call or email us today for tent pricing information or brochures!